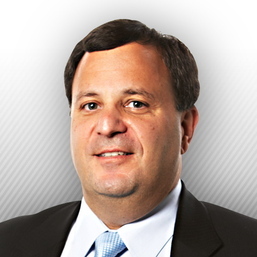 Acclaimed football analyst Michael Lombardi joins us to break down why he wasn’t high on the Dolphins prior to the beginning of the season; address the team’s biggest problem areas; and give his thoughts on Dolphins fans in New York.Â A former NFL executive, Michael’s exceptional work can be found on the NFL Network, Showtime’s “Inside the NFL,” and NFL.com. 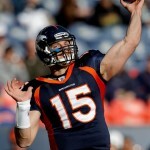 Stay tuned for a quick edition â€œWhatâ€™s Your Fantasy â€“ Week 5â€³ at the conclusion of the interview. 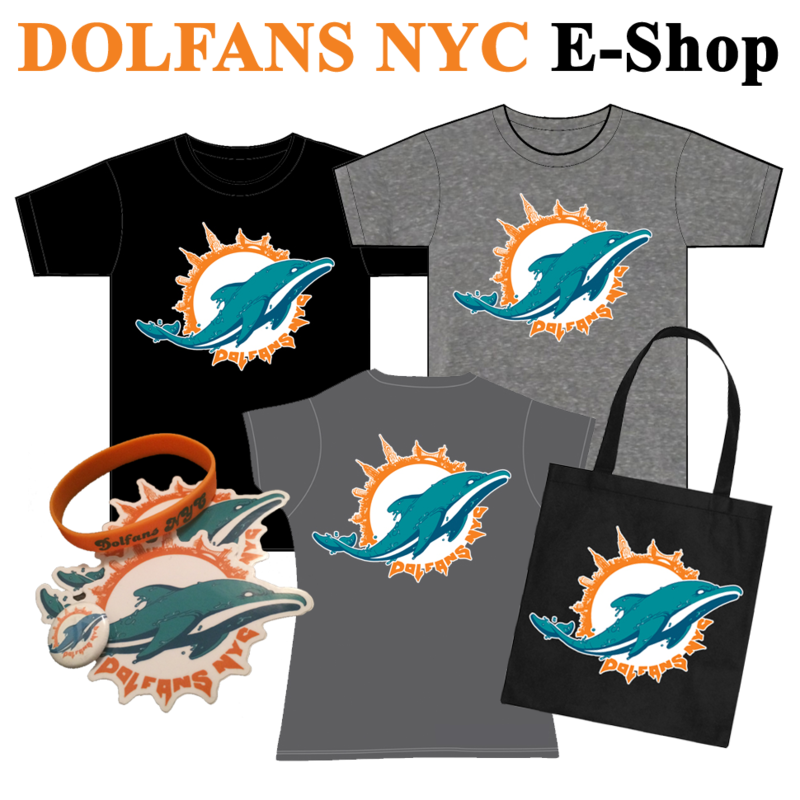 Subscribe to the DolfansNYC Podcast on iTunes and get all future episodes. 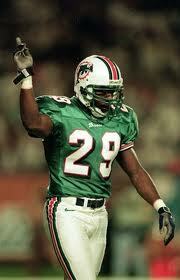 Sam Madison, one of the greatest defensive players in team history, joins us to reflect on his Dolphins career; discuss the qualities that make a great NFL cornerback; and give his thoughts on playing and living in New York. A four-time Pro Bowl and three-time All-Pro selection with Miami, Madison also helped the Giants win Super Bowl XLII over the New England Patriots and currently works in broadcasting as a member of The Finsiders. Stay tuned for “What’s Your Fantasy – Week 4″ at the conclusion of the interview. We have too many great guests on the podcast this week â€“Â make sure to check back here and toÂ subscribe on Â iTunes â€“Â to record “What’s Your Fantasy,” so here are the players I recommend starting, benching and thinking about for Week 3. You probably wish you'd started me in your fantasy league. 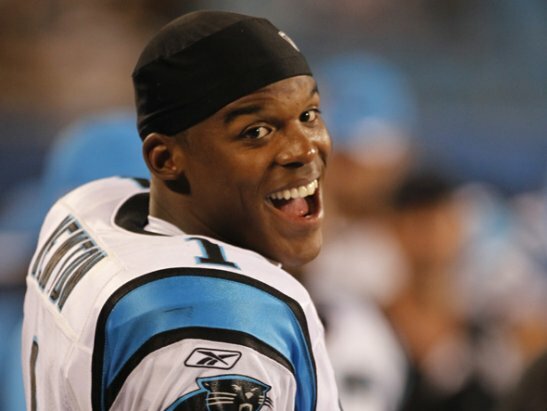 I’m Sorry… I’ll admit that I was completely wrong about Cam Newton, and in effect, Steve Smith. Â I still have no idea how a quarterback who completed 42% of his passes against second-tier defenses in the preseason can up his completion percentage to 63% and throw for over 400 yards in two straight games, but consider Newton as a top-10 QB option for the rest of the year and obviously continue to ride Smith’s hot streak. Ryan Fitzpatrick is a borderline must-start against the New England Patriots, who’ve allowed opposing QBs to throw for nearly 400 yards and two TDs per game. Â The Bills will almost surely be playing catch-up all game, which should allow Fitzy to continue posting great fantasy numbers. Ben Tate has now put together back-to-back 100-yard rushing games, and faces New Orleans in what projects to be a shootout. Â Arian Foster, who missed practice today, may still get some carries, but Tate is a rock-solid number two RB against a Saints defense that has given up 18 fantasy points per game to opposing RBs. Mike Williams (Bucs) had just one catch for -4 yards last week. Â It might be hard to trust him every week, but he’ll go up against a Falcons defense that was justÂ shreddedÂ by Jeremy Maclin for 13 catches and 171 yards. Â Start Williams as a number two WR and expect a nice bounce-back performance. Joe Flacco struggled mightily against theÂ TennesseeÂ Titans, completing just 15-of-32 passes for 197 yards, one TD and two INTs. Â While he has Ray Rice on potentially long screen plays, Flacco shouldn’t be in starting lineups against a Rams defense that has allowed less than 200 passing yards per game. Felix Jones dislocated his shoulder last week, and even though he finished the game in a harness, there’s a good chance he won’t carry a full load against the Redskins. Â He’s a poor flex option even if he ends up starting this week. Reggie Wayne has retained much of his value despite Peyton Manning’s absence, but it’s very hard to trust him â€“ or rather, Kerry Collins â€“Â against the Steelers. Â Pittsburgh has allowed just 84 yards per game to opposing WRs, reducing Wayne to more of a flex option or third WR this week. 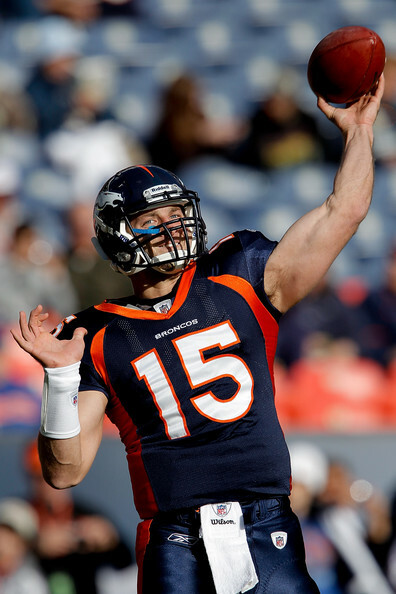 Broncos fans want Tim Tebow after three whole quarters. With Week Two of the NFL season on the horizon, it’s time for another edition of â€œWhatâ€™s Your Fantasy,” where I break down the players to start, bench, and think about for your fantasy football lineup.Â On the heels of a solid opening week, my recommendations include rolling with one of the most maligned quarterbacks in the league; sitting last week’s top wide receiver; and picking up a couple of newly-minted starters. As always, weâ€™ve got music and a touch of humor for your listening pleasure. Go Fins! â€œWhatâ€™s Your Fantasyâ€ is here to get you set for Week 7. As always, I break down the players to start, bench, and think about for your lineup. This week, I finally get to shave my beard (hoorah! ), recommend playing a Steeler against the Dolphins (boooo! ), and answer a question sent in by a loyal viewer. As always, weâ€™ve got music and a touch of humor for your viewing pleasure. Go Fins!! 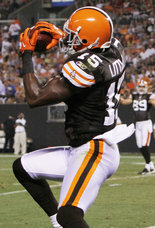 Weâ€™re going to pretend Monday night didn’t happen and move on withÂ â€œWhatâ€™s Your Fantasyâ€ for Week 5.Â As always, I break down the players to start, bench, and think about for your lineup.Â Â This week, I recommend benching the league’s leading passer –Â the same guy whoÂ couldn’t beat out Rex Grossman for a starting job not too long ago, by the wayÂ — and picking upÂ aÂ must-own playerÂ in the aftermath of theÂ Randy Moss trade.Â As always, weâ€™ve got musicÂ and a touch of humor for your viewing pleasure. Â Go Fins!! After a one-week absence, we’re back with “Whatâ€™s Your Fantasyâ€ for Week 4.Â As always, I break down the players to start, bench, and think about for your lineup.Â Â This weekâ€™s recommendations include a first — recommending a (gasp!) Oakland Raider — and stashing a trio of under-the-radar players for the long-term.Â As always, weâ€™ve got music and a touch of humor for your viewing pleasure. Â Go Fins!! David Garrard, Jax QB:Â Garrard has thrown 15 TD passes and nine INTs in his last nine home games, compared to just four TDs and a whopping 9 INTs in his last nine road contests.Â Heâ€™ll face the Eagles, who gave up 335 passing yards to the legendary Shaun Hill, in Jacksonville this week. Fool me once, shame on you. Fool me twice, and I'll never recommend you again. 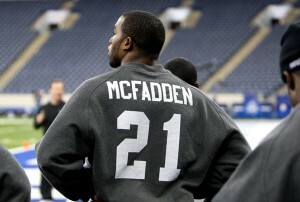 Darren McFadden, Oak RB:Â McFadden has averaged 152 total yards per game in 2010 and hasÂ been powerfullyÂ running over defenders.Â Where was this last year when I drafted you, Darren?Â McFadden is a must-start in all leagues — he faces a Cardinals defense that was shredded for 186 yards and 3 TDs by Falcons backup RB Jason Snelling last week. Dez Bryant, Cowboys WR:Â Did you know thatÂ the Houston Texans have allowed the most passing yards (822) through the first two weeks than any team in NFL history?Â Joey Galloway (yes, heâ€™s still alive) burned their secondary for a 62-yard catch on Sunday.Â Just imagine what the speedy Bryant can do. Eli Manning, Giants QB:Â The Titans havenâ€™t faced any real NFL QBs yetÂ — Jason Campbell, Dennis Dixon, Charlie Batch — but theyâ€™ve still allowed only one TD pass and caused six fumbles in two games.Â Manning could be in for another long day. Brandon Jackson, Packers RB:Â Jackson salvaged a terrible game with a TD for fantasy owners, but FB John Kuhn finished with more rushing yards on fewer carries.Â Against a Bears defense that has allowed the fewest rushing yards in the league (56 on 1.4 yards per carry), neither Packers RB is even a worthy flex play. Jets Wide Receivers â€“ This isnâ€™t just a ‘homer’ pick.Â Take out a late-game miscue against the Bills, the Dolphins are allowing less than 90 yards per game to WRs.Â PlayÂ Braylon E-DWI-rds at your own risk. Sam Bradford, Rams QB – Iâ€™d never advocate playing a rookie quarterback on one of the worst teams in the league, but the Redskins have allowed over 390 passing yards per game through the air (Matt Schaub threw for a ridiculous 497 last week) and the second-most fantasy points to QBs. Golden Tate, Seahawks WR â€“ The rookie WR was cut in a lot leagues after being inactive in Week 1, but he made his presence felt last Sunday with a 52-yard catch and a 63-yard punt return.Â Heâ€™s expected to have a bigger role going forward and certainly has more potential than Mike Williams (still canâ€™t believe heâ€™s a starter in the NFL). I think weâ€™re done here.Â Remember to check DolfansNYC.com â€“ the official home of Miami Dolphins fans in New York â€“ for all of the latest team news, and send us an email if youâ€™d like to be included in an upcoming video.Â And of course, stop by Third and Long on 35th Street and 3rd Avenue to watch the games with the rowdiest fans around.Â Go Dolphins! We’re back with an all new season ofâ€œWhatâ€™s Your Fantasy,â€ where I break down the players to start, bench, and think about for your lineup.Â Â This weekâ€™s recommendations include going with a player who hasn’t started an NFL game in four years, breaking one of my cardinal rules of fantasy football, and benching everyone on the Buffalo Bills against the Packers (and possibly all year long). As always, weâ€™ve got music and a touch of humor for your viewing pleasure. Â Go Fins! !